o Many more versions of Office 2007 (including Enterprise editions) now install properly. o Office 2003 Service Pack 3 now installs. o Office 2003 one-shot updates now apply. o Several more versions of Office 2003 now install. o Visio 2003 sp3 now installs. o Office 97 now works better. o PowerPoint 2003 slide preview improved. o Bidirectional text behavior is improved. o Access 2002 reporting is improved. o Use the native FreeType library on Leopard systems. o On Linux, add the ability to generate Debian bottle packages. o Fixed a CrossOver installation error specific to Estonian locales. 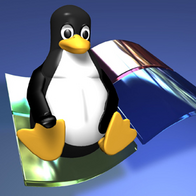 CodeWeavers' mission is to transform Mac OS X and Linux into Windows®-compatible operating systems. By doing so, we provide a bridge to help users migrate from the Windows software world to these other environments. We do this primarily by making it possible to use Windows software on Mac OS X and Linux. CodeWeavers is the leading corporate backer of the Wine Project. Wine is an open source software initiative that is systematically re-implementing the Win32 API under Unix. Wine makes it possible for PCs running Unix-based operating systems (like OS X and Linux) to run Windows application as if natively. We offer a range of Wine-based products offering cross-platform capabilities for both corporate environments as well as individual users. We also use our expertise in Wine to provide professional services to our customers. We use Wine to port their applications directly to Linux or Mac OS X, or to create custom versions of Linux that support mission critical applications. The world of Windows Applications is very large and diverse, and tracking the status of any given application with regards to Wine is a challenging task. To meet this challenge, we maintain the CodeWeavers CrossOver Compatibility Center, which provides a focal point for application information and tools to help ensure that all applications progress towards full compatibility. The News page has the latest information on what we are working on.